A new generation of technologies is needed to consume and exploit today's real time, fast moving data sources. Apache Kafka, originally developed at LinkedIn, has emerged as one of these key new technologies. 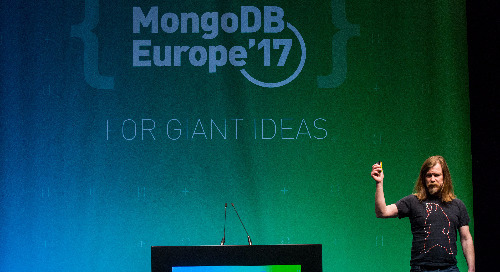 This webinar explores the use-cases and architecture for Kafka, and how it integrates with MongoDB to build sophisticated data-driven applications that exploit new sources of data. Watch the webinar to learn: What MongoDB is and where it's used What data streaming is and where it fits into modern data architectures How Kafka works, what it delivers, and where it's used How to operationalize the Data Lake with MongoDB & Kafka How MongoDB integrates with Kafka – both as a producer and a consumer of event data The webinar is co-presented with Confluent, the company founded by the creators of Apache Kafka.